Exercise increased caution in Trinidad and Tobago due to crime, terrorism, and kidnapping. Some areas have increased risk. Read the entire Travel Advisory. 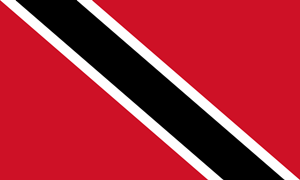 Trinidad and Tobago is a developing nation in the Caribbean composed of two islands. The islands gained independence from the British in 1962. The country is one of the most prosperous in the Caribbean, largely as a result of petroleum and natural gas industries. Tourist travel is mostly to the smaller of the two sister islands, Tobago. Tourist facilities are widely available. TTYP presents "If there is music there Part 1"
TESOL Certification for Teaching English to Speakers of other Languages in Trinidad and Tobago. +(868) 622-6371, then press 1.